Notes: One of a kind example in the "Provo" family of insulators. Found at the Hemingray factory dump in the 1960s. 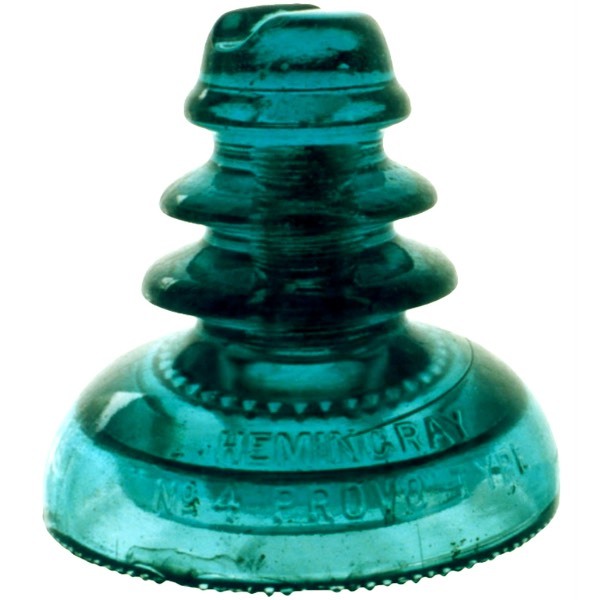 This insulator went missing from the hobby in 2008 as it was in the back of a truck that got stolen. Insulator has a cable groove on the top and drip points between the inner petticoat and the second petticoat.